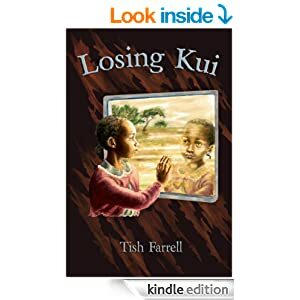 Posted on April 16, 2018 April 15, 2018 by Tish Farrell	This entry was posted in Africa, anthropology, cosmology and tagged Bandiagara Plateau, Dogon, Mali, Marcel Griaule, Tish Farrell Writer, wplongform. Bookmark the permalink. Sounds like a very thorough explanation of the beginning of things. I’m particularly taken with the pulsing and spiralling to infinity. I found a very battered copy on the internet. It’s next on my reading list. I have a book about Sirius. I have not read it yet. I hope somewhere they talk about Ogetemelli. Now that would be too cool! Very interesting post, enjoyed very much. Fascinating! Look at how young Attenborough was! So young, yes. Actually there are some archived progs on BBC i-player where he’s out in New Guinea and even younger!! Happens to us all – once when we were young…aaah. Btw – How did the cake go down? I have no idea about the cake, Tish. If any of the Santana entourage post a comment on Ems Facebook page l’ll let you know! However, the show was wonderful, especially all the audience singing Happy Birthday, with the cake taking centre stage. Just been to FB and seen your pic. What a great night out. I don’t see anything wrong with the quality of these images, Tish 🙂 And I appreciate the story behind this. Thank you so much! Thank you, Paula. Wishing you a less-stressed week. This is one of the coolest stories I’ve ever heard. I must research further. Thanks. Happy this sparked your interest, Thom. I never know what I’m going to learn Next from your posts, Tish! Thank you! I’m often surprised myself 🙂 Thanks, Ali. I love the Native American and Canadian First Nations stories. Their metaphors are very active – connect you to the planet somehow. I really enjoyed this. It’s strange that the Dogon people knew about Sirius B. It is pretty curious. It’s fuelled a whole ‘alien’ enquiry thing on the internet, which v. unfortunate. A very cool story. I love hearing different creation stories. Not surprisingly there are so many similar themes among them, which really tells one a lot about who we are as a species, and how similar we are from region to region. Our environment and history has a lot to say about the type of story we weave to tell similar lessons. I particularly like the similarity here to the story of Prometheus stealing the fire for mankind, and also just the idea of theft being require to reveal God to people. And that such people who commit that theft, while not favored by God tend to be favored by mankind as being on their side. Sort of saying “Yes God you are far more powerful, but you must somehow reveal some of your secrets if we are to survive”. It’s really all quite beautiful actually. I also like the duality theme as well they have. The Nommo who are the Gods of things that are pairs, and the formation of the other sets of twins, male and female. There is obviously a certain ying and yang quality here, but I was also find it interesting the importance they place on different genders. God is a ‘he’, Earth is a ‘she’. The stealer from God is a he, but he is incomplete without his twin sister. So at first I’m thinking there is a little more leaning towards males being more important, especially with God being a male, but then again there is still this recognition that there is no real dominance of one gender over another when it comes to life. But it does make me wonder, why choose a gender at all when it comes to a creator? I started reading the Upanishads a little, and that creator is also male, but then there is a quick recognition that without a woman, the male is incomplete. I guess we can’t help but assign gender to our deities, because it’s what we know…but given that women actually give birth, I wonder why a male would be a choice at all as the creator of the universe? That would seem to be an interesting thesis topic though…whether or not there is a difference between the gender of the creator based on whether the culture is hunter-gatherer or is sedentary and has developed farming (which usually leads to more class structures). The egg in the Dogon cosmology is not that far off from the Big Bang theory that claims the universe started with something the size of a pea. Great post, Tish! That’s rather what I was thinking re Big Bang theory, Peter. It’s fascinating stuff, isn’t it. It’s a pity Stephen Hawking didn’t get to talk to the Dogon. Well I for one can’t wait to get to the other side and find out the real story. I find it interesting that all ancient cultures basically have the same understanding of things. You’re right, Beverly. Lots of common threads. Many thanks for the reblog, Penney. This is truly brilliant. How could they have seen so high in the sky? Had they invented telescopes? It’s absolutely magical. Reblogged it, of course. its heliacal rising was key to knowing when the Nile floods were in the offing. The Dogon calendar also depends on similar observations. Fascinating, Tish, and I enjoyed the photo anyway. 🙂 Reminds me that I need to go through all my slides of my year-long trip through Europe in the mid-seventies (how many reading this were even alive then?) and see about getting prints made of them. Hopefully they’re still good. I’ll find lots of amazing memories, Tish, and hopefully enough good ones that I can have them put on a disc or two to share with my family, who’s never really heard much about the details of the trip and certainly never seen the photos. 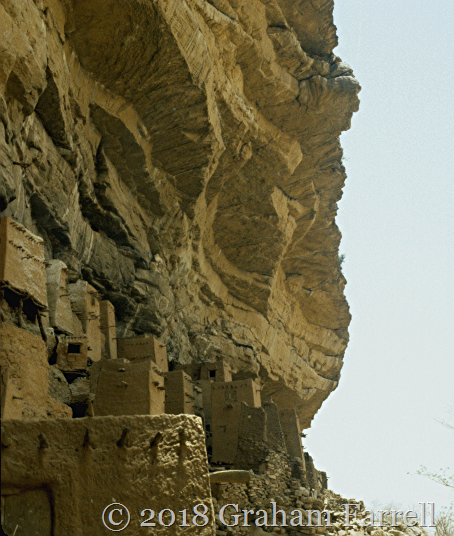 Fascinating read about the Dogon, Tish! I remember reading about them some years ago and was very interested, especially about their astronomical discoveries. A fascinating and complex story of the Dogon’s creation theory. It does tie in with so many other cultures myths/legends knowing about the stars existance is a mystery that I guess will never be solved. Just having a read over my morning cuppa, then going out so will leave David Attenborough (I love his documentaries) to savour when I get back. Happy gardening now Tish? I think all these stories from traditional societies are so enriching in their imagery, which in turn expands one’s thinking – not so much about believing as about BEING. As to gardening, still waiting for the promised warm spell, though the seeds are sprouting – indoors that is. Yes I sometimes ponder on why/how/when these myths/stories/legends/theories began. But then I just shrug my shoulders and think “well does it matter how and why, we are here so just get on with it!! !” But it is still interesting. What an impressive piece. You’re a great story-teller, and seem to do justice to the Dogon beliefs, although as you say, that’s always tricky. Thanks Meg. I’m wondering about following this up with a more detailed account – once I’ve understood the metaphysics. Creation myths are fascinating, especially the similarities and differences you find around the world. Mali (and Ethiopia) have been top of my bucket list years, but I doubt I’ll ever get there. Yes, both are totally fascinating countries – to which I am unlikely to go either. 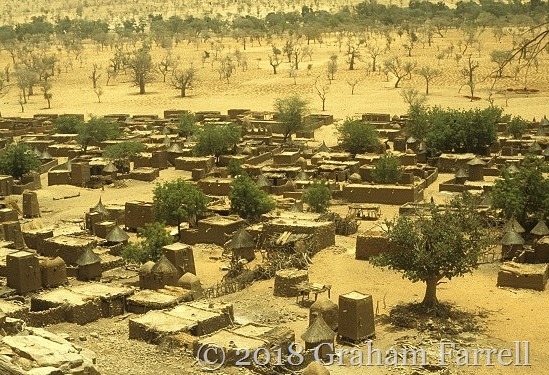 I gather Mali has been invaded by extremists who keep causing mayhem there. Very sad for a once great empire. I love a good creation story. I studied Sociology and Religion (as it impacts societies) but never came across this one. Everytime I see Sirius, I will think of this story. Funny how a trickster (the Pale Fox) is so well regarded by the Dogon, but I guess he is the only one who possesses the knowledge of divine language to communicate what Amma wants. I think the pictures are perfect – their retro quality lends to the story). That was really fascinating, Trish. It had me hooked. What a wonderfully beautiful and sophisticated creation story. I got to your last line and found myself agreeing, in great sadness. I’ve only skimmed the surface of it too. The more I read of it, the more fascinating it becomes – a conception that the Creator and the Creator’s creations can keep getting things wrong, and causing disorder in the universe or for each other on earth.